As you all know I have been trying to shed some pounds and so far failing miserably! I am not giving up however. Eat veggies is not hard for as I LOOOOOOOOVE Spinach, but when it comes to fruit it is a struggle with the exception of the occasional mango. So when my roommate introduced me to Green Smoothies I was intrigued. I have seen them everywhere and couldn't imagine them tasting good. One Kale, Peach, and Mango smoothie later I was hooked. I plan on drinking a smoothie every morning before work. I am thinking about throwing in some oats to add a bit more fiber. 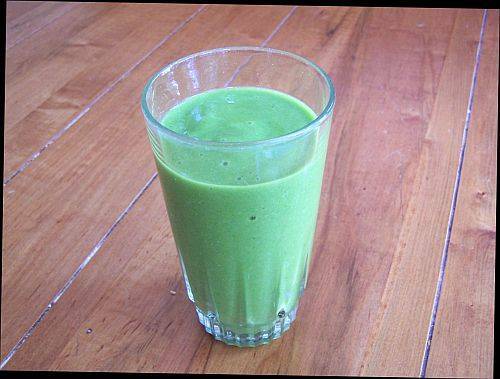 The beauty of Green Smoothies are that they are so versatile and imaginative. Have you guys tried them? If so what are some of your favorite recipes? Looks delicious!!! I should join in on a.weight losd journey. Keep us posted on your successful weight loss.